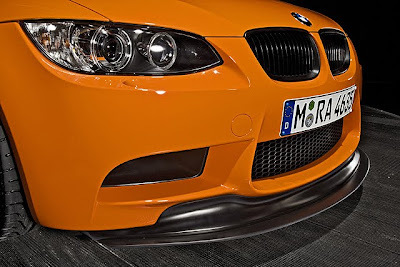 The One & Only - Leased Ferrari: BMW M3 GTS | Pure M genes. BMW M3 GTS | Pure M genes. "The car is fitted with a 7-speed ///M dual clutch transmission with adapted shift characteristics. But an absolute highlight is to be found under the bonnet. Exclusively for the BMW M3 GTS, the engine builders of BMW ///M - recent winners of the Engine of the Year Award once again - have developed a power unit based on the M high-performance engine of the current BMW M3: with a capacity of 4.4 litres and an output of some 450 bhp, it will catapult the light BMW M3 GTS into a whole new sphere. After all, the aim is to clearly beat the lap time of the legendary M3 CSL on the Nürburgring Nordschleife. And test runs certainly give grounds for optimism. 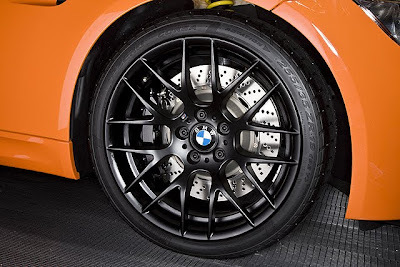 The BMW M3 GTS is manufactured to order on an individual basis at the BMW ///M production workshops. 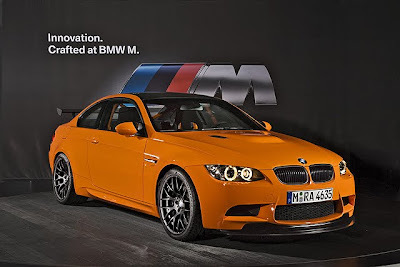 The price of the BMW M3 GTS with the features shown is expected to be $131,000 - for delivery in Germany, including 19% VAT." "Even when you see it from a distance, you are instantly electrified. 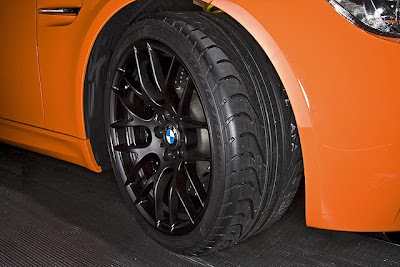 As a BMW M enthusiast, every step you take towards the orange painted concept vehicle of the BMW M3 GTS with its numerous matt black applications raises your adrenaline level a little more. Exclusive 19-inch wheels with ample 255/35 tires at the front and 285/30 at the rear catch your eye. All this is certainly nice looking and sensible, but what you glimpse through the spokes of the aluminium wheel rims is even more exciting: a generously sized fixed caliper brake system with six pistons at the front and four at the rear. The wheels almost fill out the wheel arches, but if you look closely you discover the next highlight. 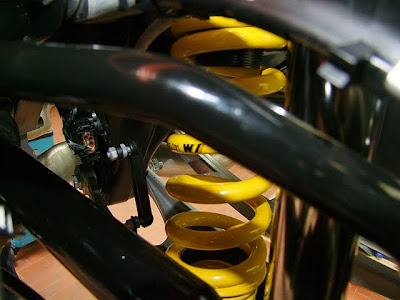 Yellow springs with a small M logo provide the crucial clue: a threaded suspension, adjustable in compression and rebound. “The rear axle support is bolted in place,” adds the responsible engineer. 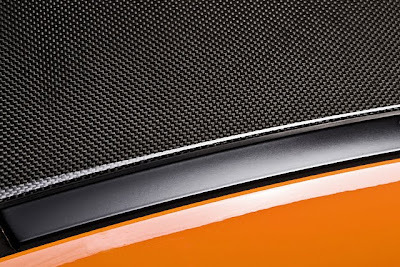 The expert will also spot the adjustable front splitter and rear wing. One thing is clear: this car is serious stuff. Not only can a high level of downforce be generated but it also precisely adjustable at front and rear. Fast bends can look forward to welcoming the BMW M3 GTS - but they won’t get to see it for long. Which brings us to the next question: what does it weigh? So the engineers had to get back to work again to come up with more. Light body-contoured seats are a must. 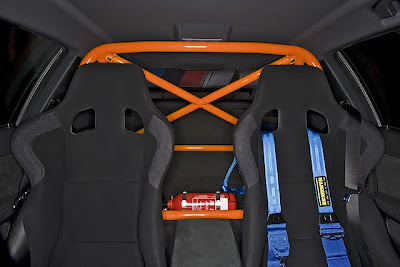 A cluster of lightweight construction measures such as optimisation of the insulation, the use of lightweight parts in the interior, the use of Macrolon for the car's windows in the back, the lack of air conditioning, navigation and radio and the entire rear seat also gets the scales the down. 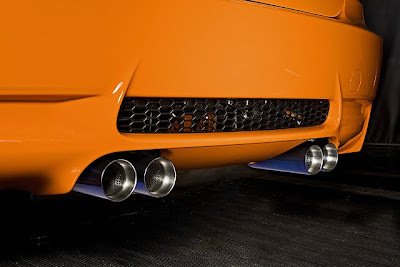 And the new titanium rear silencer not only looks great and contributes to the thrilling sound of the BMW M3 GTS, it is also much lighter than its serial production counterpart. 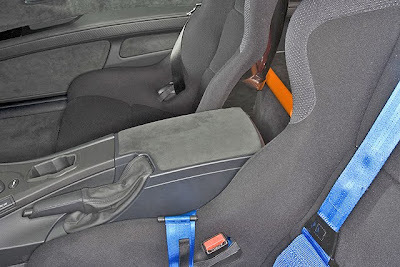 Indispensable for safety reasons: the lightweight construction body has been prepared for installation of the 6-point seatbelt included for use on the race track. There are also mounts for the roll-over protective structure bolted on from the B column. A fire extinguisher and a battery master switch/emergency shut-off preparation do not make the car lighter either - but safer. 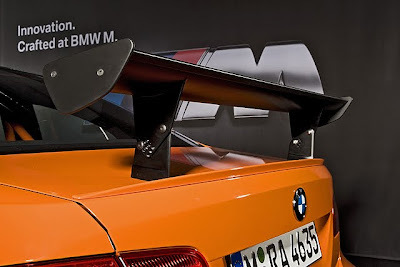 So the BMW M3 GTS concept vehicle puts the scales up to around 1490 kilograms (4,277 pounds) - causing the engineer to give an appreciative nod. The first vehicles are due to be supplied in May 2010. For technical reasons relating to registration, the first vehicles to be produced will be those for individual registration in Germany. According to current planning, registrations in other countries will be possible from Summer 2010."